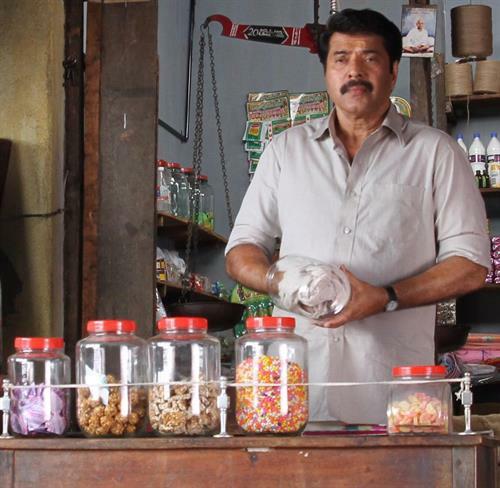 Taxi malayalam movie directed by Shyamaprasad will have Mammootty in lead. Shyamaprasad who is known for his versatility and ability to cast the best actors in his movie is joining with Mammootty for the second time. After coming together for 'Ore Kadal', the acting maestro Mammootty and Shamaprasad would work for the movie titled 'Taxi'. Ace film maker Shyamaprasad has announced his next project. Titled 'Taxi', the movie will have mega star Mammootty in lead. Much interestingly, the story of the movie revolves around a crime and its few other incidents which are later followed. To be scripted by Shyamaprasad himself, 'Taxi' will be produced under the banner Rasika Entertainment. Shyamaprasad who is known for his directorial skills is waiting for the release of 'Artist', which is expected to reach theatres soon. Mammootty who takes much care in selecting roles has been impressed with the versatility and the ability of the director who is known for selecting accurate people to the fit the characters. Mammootty had earlier worked with Shyamaprasad for 'Ore Kadal', which received several awards and accolades at national and international level. So it would be a good time for the movie enthusiasts to invest their time for a thriller which is expected to get released in the first half of 2014. When the most experienced director and top most actor come together, the expectations would be on the peak. So hoping to experience a visual treat from Shyamaprasad who is known for his magic on silver screen. As in the previous year, Mammootty is enduring his royal ride getting high regard for his acting skill and varied characters. The actor, who started the year with	Kammath & Kammath, continued his journey giving life to lead characters in Immanuel and Kadal Kadannoru Mathukkutty. His upcoming projects Kunjanathante Kada and Daivathinte Swantham Cleetus would reach theatres on 30th August and 12th September respectively. Kunjanathante Kada would be a family drama while Daivathinte Swantham Cleetus will be Onam treat creamed with all essence to keep the viewers intact. Having a tight packed schedule, Mammotty will join hands for the movies of popular directors. His committed projects include Manglish, Kunjali Marakkar, Balyakala Sakhi, Black Investigators and few others.